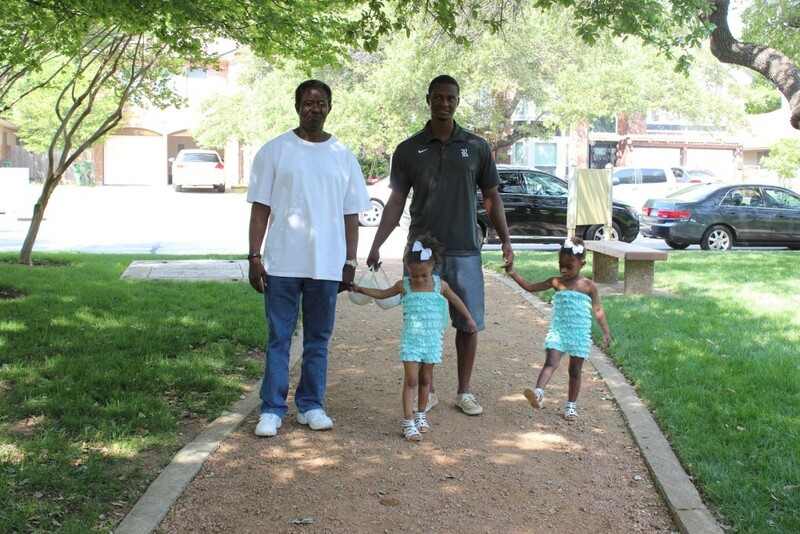 The family and I went to Austin for Easter and we had a great time. The best part of holidays is spending time with family, I just love hanging out with the hubsters family, I really do feel blessed that I have married into such a loving family, much like my own. I’m a lucky girl! Anyway I hope you guys had a great Easter as well. How did you spend your Easter? 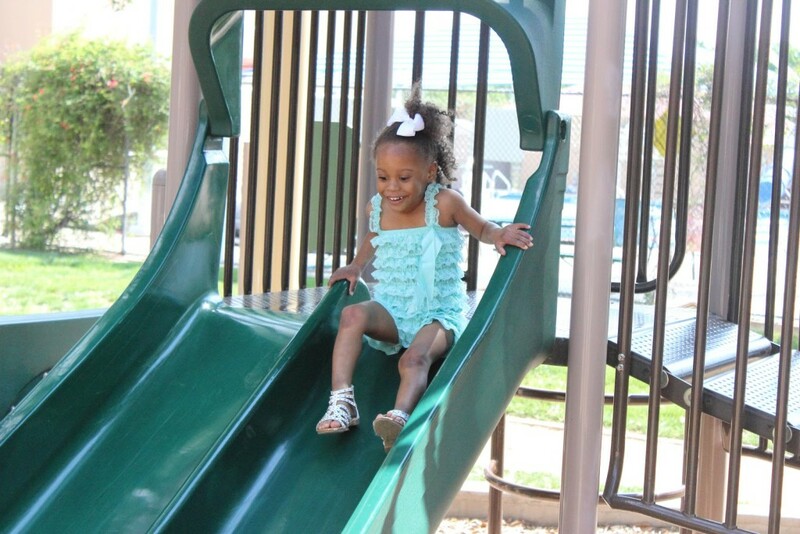 We took the girls to Pat’s dad’s neighborhood park for Easter egg hunt and to enjoy all the activites they had. 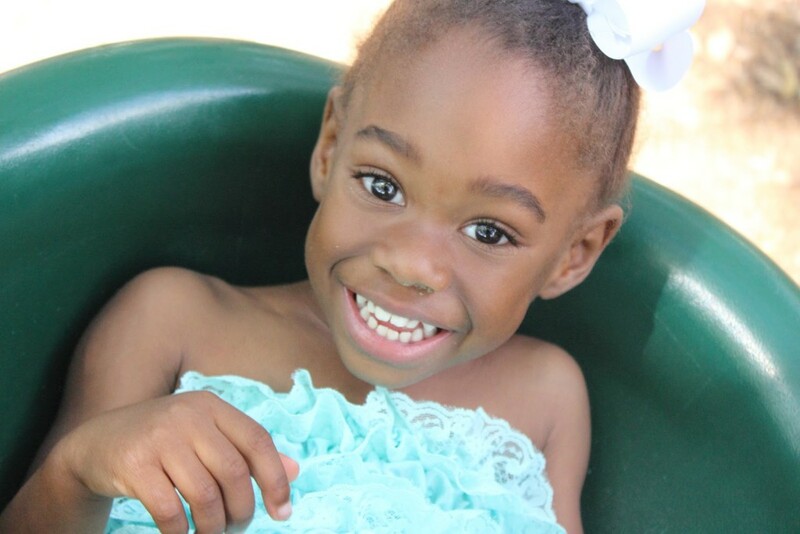 Even though we had a little mishap and the girls actually missed the egg hunt for their age group (we were pushing them on the swings and totally missed it lol) they still had a blast playing and having fun. On Easter Sunday we had a breakfast at Pat’s dad’s house for some of his family and we really had fun. 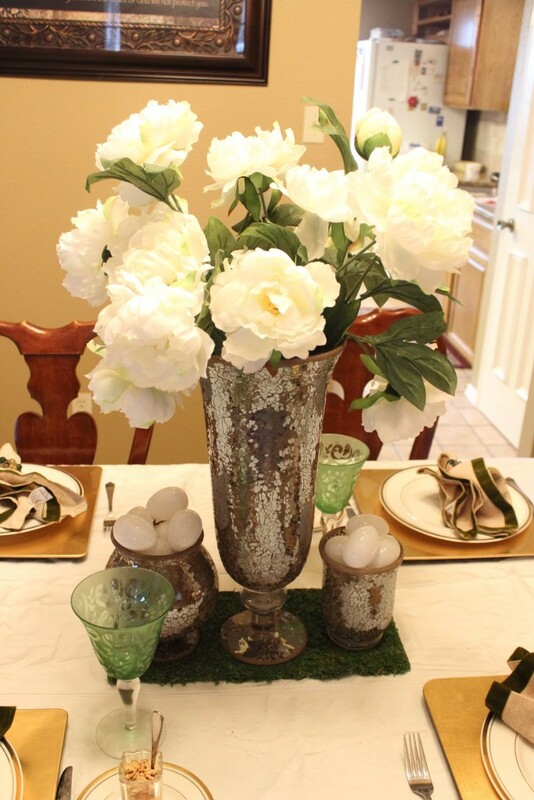 I brought a few things from home to do a quick DIY Easter tablescape. 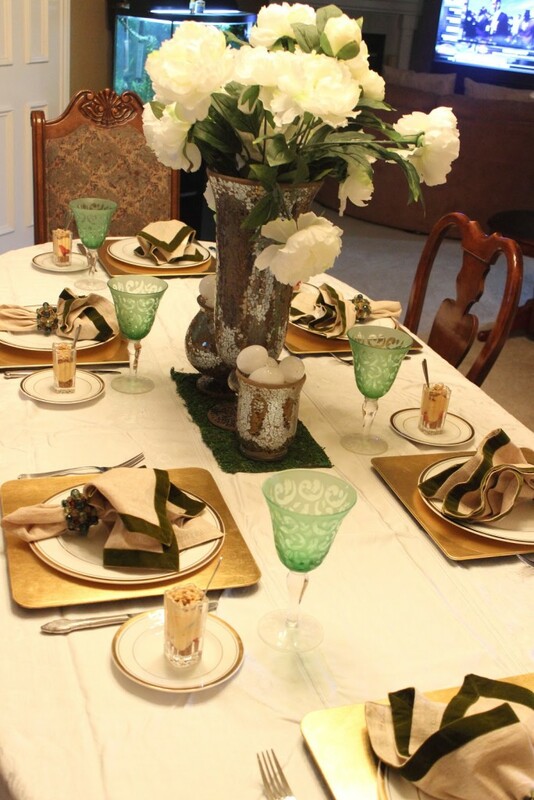 I only brought some flowers ($3.99 a bunch at Michaels sale, I used 2 bunches), a moss sheet (leftover from my DIY Moss Letter project), some white Easter Eggs, napkins and napkins rings (on clearance at Pier One right now!). 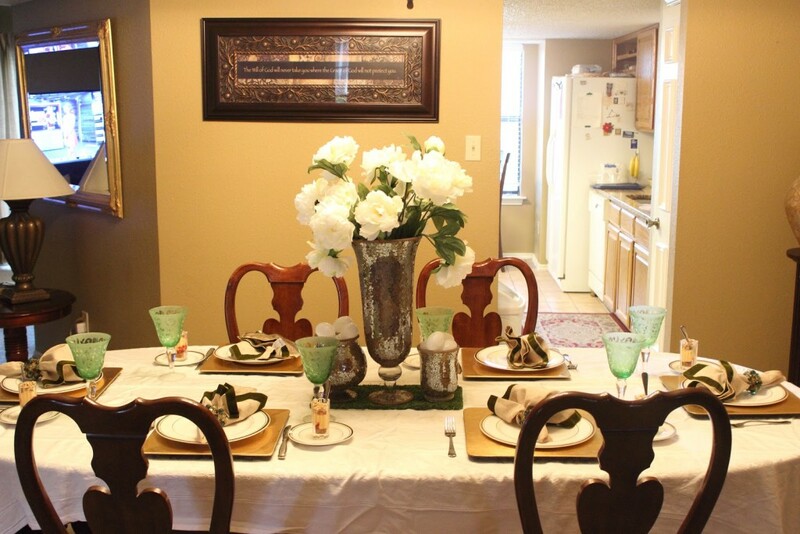 I think my DIY Easter tablescape turned out great! 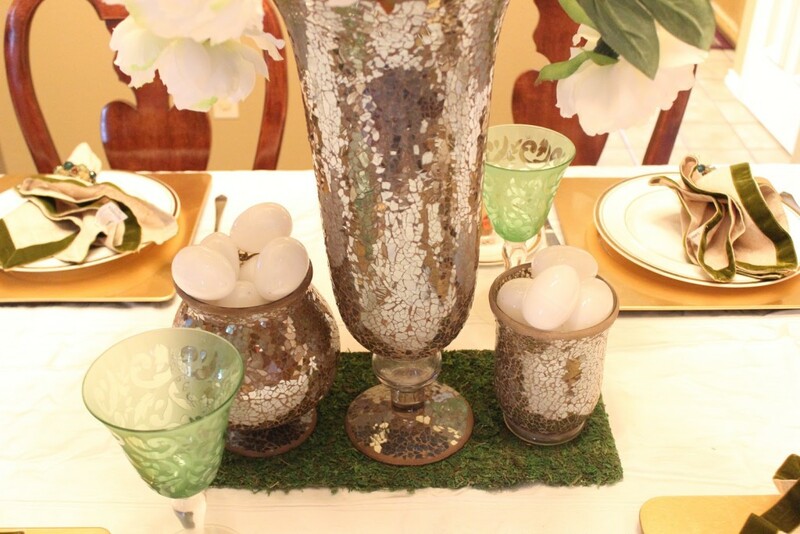 The moss sheet also added something to the centerpiece of my DIY Easter tablescape. 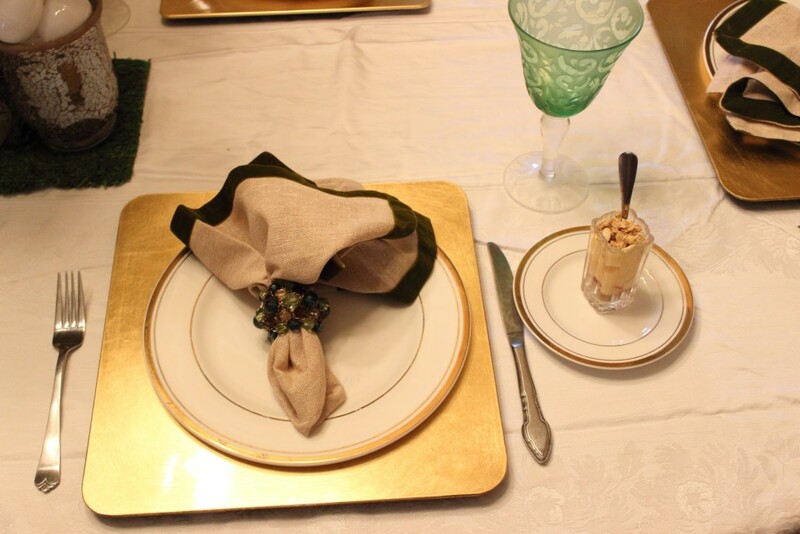 My napkins and napkin rings went great with my mother in law’s gold plates and chargers. Aren’t those green goblets to die for! My mother in law had the best taste! I should have taken pics with the food on the table but I was actually too busy digging in to think about pictures lol. On the breakfast menu: pancakes, scrambled eggs, bacon, sausage, canadian bacon, caramel pecan cinnamon rolls (find my recipe here), and these amazing parfaits. 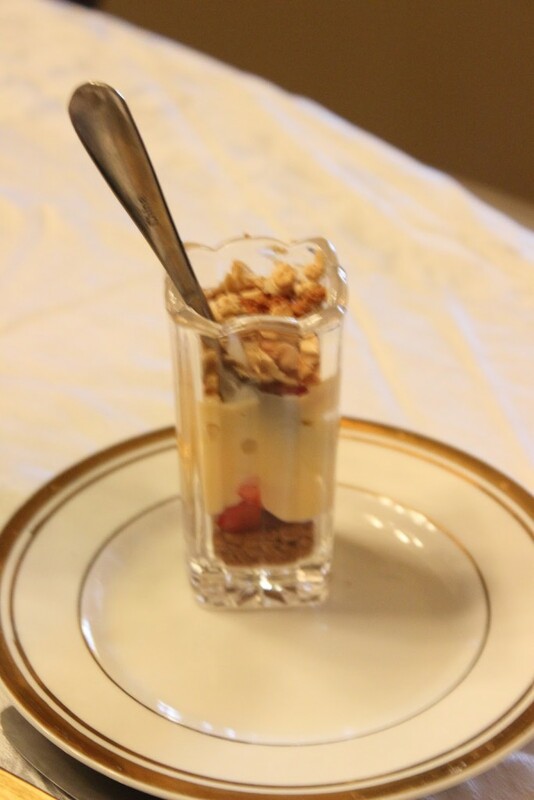 I just love parfaits, they are sooo easy to put together and the presentation looks really great. 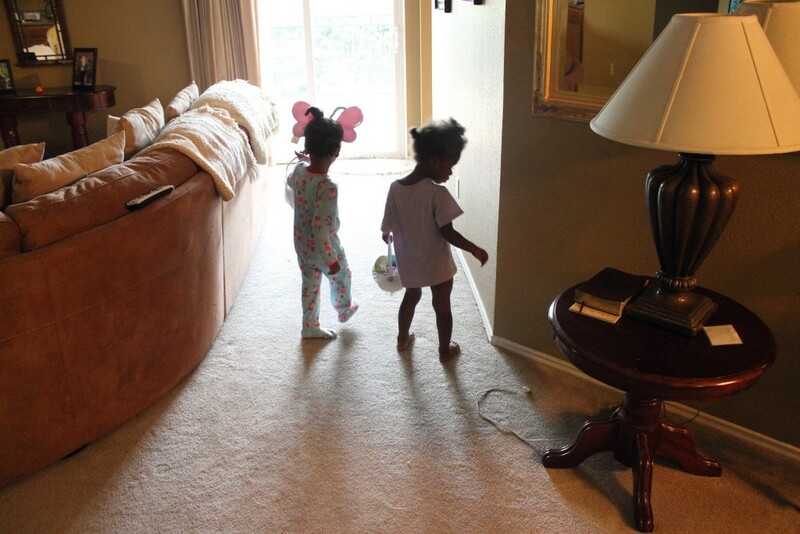 After breakfast the girls hunted for eggs around the house and opened up all their loot. Are they spoiled are what! 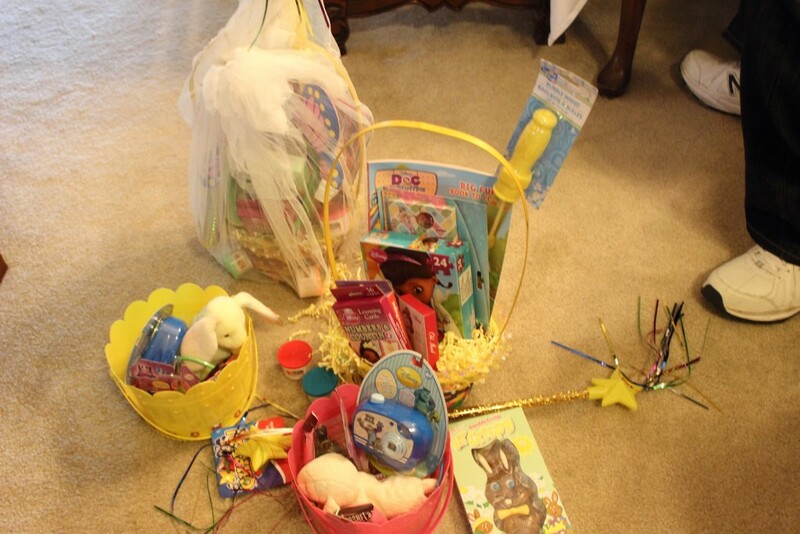 I hope you guys had a great Easter, I would love to hear how you spent yours!